Have you ever pulled a muscle in your back? It is certainly not a comfortable feeling. Such an injury usually takes two or three days to heal, and that is only after medication has been taken regularly. 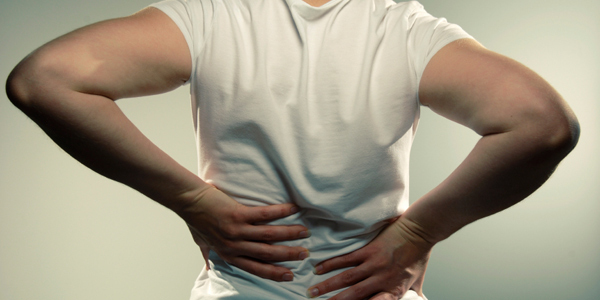 Back pain can be a result of strenuously lifting a heavy item the wrong way, or it can be something rather routine that would not be considered strenuous at all. I remember a few years back I was simply putting a few things in a bag and I suddenly pulled a muscle. It took a while to get back into the full swing of things. During that time, I developed a close friendship with ibuprofen! But what about God’s back? Does He ever pull a muscle because we have put too much on Him? As we cast our cares upon Him, is there a point where it becomes too heavy for Him to carry? The answer is an emphatic no! God does not experience back pain. There is never a point where He might be carrying too much on our behalf. God cannot be strained or overwhelmed. God does not get tired and His fountain of grace cannot be drained. Paul writes to the early church at Philippi and reminds them that they have the privilege of letting their requests be made known to God (Philippians 4:6). He invites us to casts all of our cares upon Him, because He cares for us (1 Peter 5:7). In fact, casting our cares and concerns upon God gives Him great pleasure, just like a father who loves to meet the needs of His children (Luke 11:13). This means that we can gladly receive our Lord’s invitation when He says, “Come to Me, all who are weary and heavy-laden, and I will give you rest.” He then says, “Take My yoke upon you and learn from Me, for I am gentle and humble in heart, and you will find rest for your souls. For My yoke is easy and My burden is light” (Matthew 11:28-30). Such a glorious promise as this should bring great comfort to our weary souls. God has a strong back and His carrying capacity cannot be maxed out. There are no limits to what He carries for us. Remember, He carried our sins to the cross of Calvary as He bore our iniquities (Hebrews 9:28).